13 Rolling Country Acreage Home Sites From 3~21 Acres in Size, Ranging in Price from $64,900.00 to $119,900.00 with A Variety of Features to Enjoy! Heavily Treed, Open Fields with Tree Lines and Some Scenic Wetland Areas. 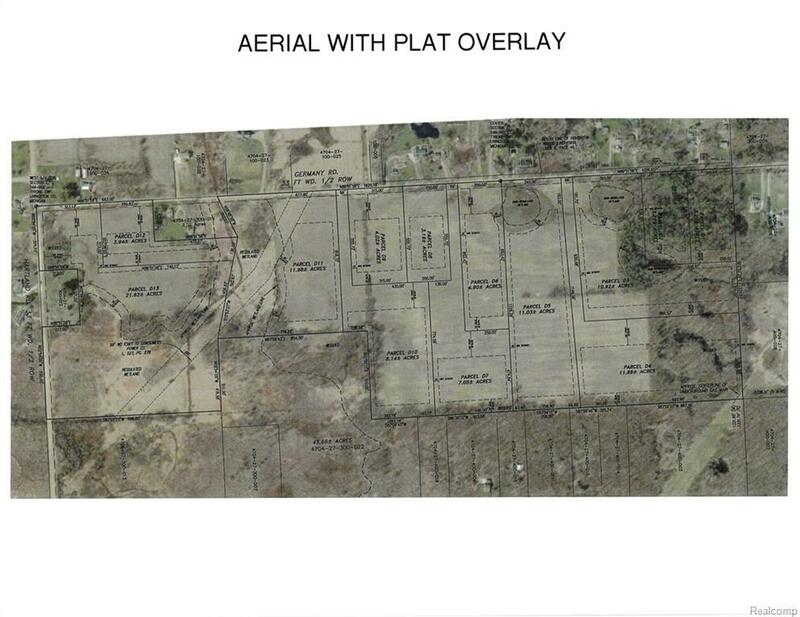 Every Parcel has a Current Boundary Survey, A Current Perk Test (all conventional septic systems) and Sight Distance Review Approvals from the Livingston County Road Commission. Natural Gas Available at Germany Road. NO Restrictions Other than Municipal Authorities. No Shared Driveways, All of the Sites Will Likely Be Suitable for a Walkout, But Confirm with Your Builder. 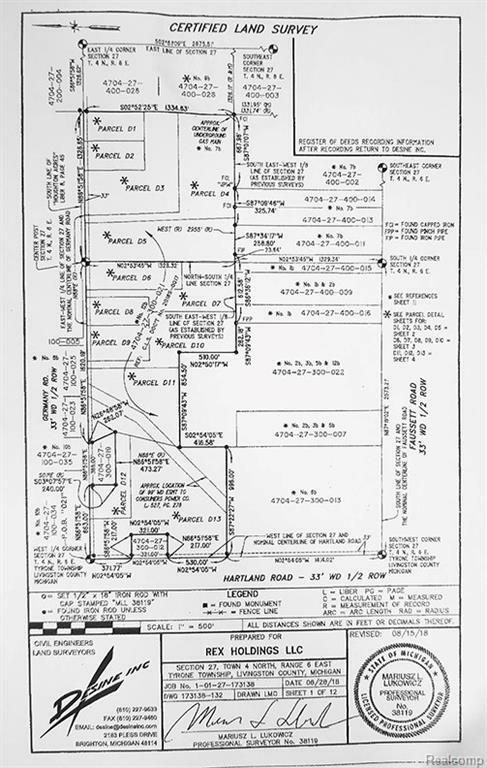 Hartland Consolidated Schools. These Properties Were Just Recently Divided, Be Among the First to Own One of These Premium Home Sites! 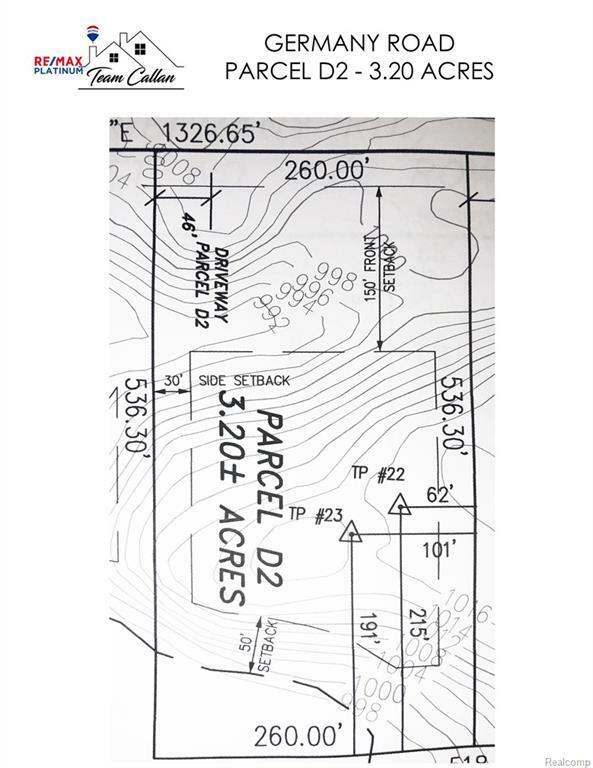 Parcel D~2 is Heavily Wooded and Rolling, it is 3.2 Acres and Covered with Pines and Hardwoods. There Will be Added Cost to Prepare this Home Site, But the Setting will be Majestic! And Great Country Views Everywhere!